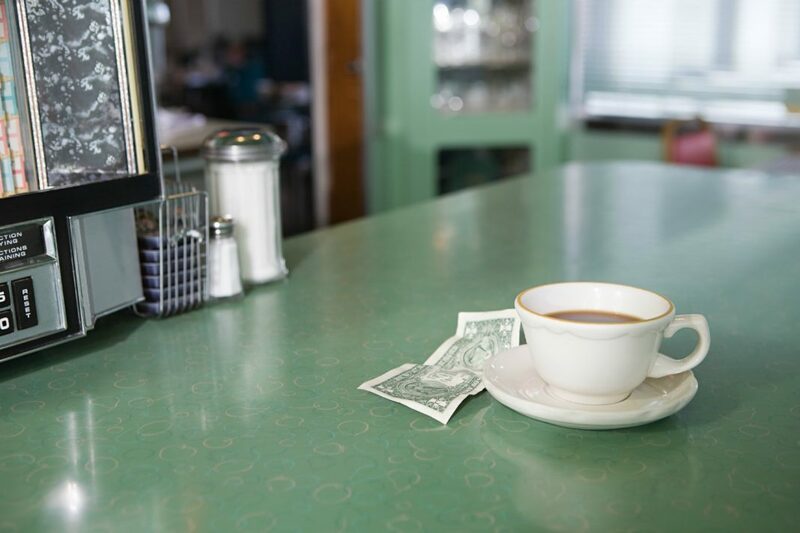 When you’re dealing with insomnia, a productive streak, or the sudden need to sober up, these vintage L.A. diners are the perfect place to post up with a cup of joe and, hell, some midnight pancakes if you’re feeling the urge. The place has literally never not been open since 1924. Swing by any time of the night for a cup of deep black coffee and a burnt-on-the-outside, soggy-on-the-inside (yet somehow perfect) mass of hash browns. 877 S. Figueroa St., downtown. Due to its iconic Googie-style architecture, this particular iteration of the local chain is a classic. Does the coffee even remotely measure up to third-wave standards? Not really! Is it the beverage of choice for a “Screw it, I’m never falling asleep”-type night? Absolutely. 470 N. La Cienega Blvd., Beverly Grove. The perks of coming to a place like this are: 1. You can camp out indefinitely and 2. You can drink an infinite number of coffee refills, so long as you ask nicely (and tip well). Get a stack of hotcakes while you’re here. 6333 W. 3rd St., Fairfax (locations in Studio City and Pasadena too). Whatever independent movie you’ve just seen at the Nuart deserves to be mulled over for at least an hour—accompanied by a hot cup of coffee and, honestly, probably a burger too. 10801 W. Pico Blvd., West Los Angeles. Decked out with brown leather booths and those oddly comforting midcentury-style stone walls, this should really be your go-to place for diner coffee and reliable late-night breakfast. 6145 Franklin Ave., Hollywood Hills. The last local relic of a once-ubiquitous chain, the place still holds its own as an unpretentious late-night haunt for aspiring writers and the only moderately inebriated. Narrowing down dessert options is gonna be rough, but the peanut butter pie is a failsafe. 1869 N. Vermont Ave., Los Feliz. Next articleWhere Does All the Dirt Metro Excavates for Rail Lines Go?